Once again, you've decided to tune into the latest edition of SPECK's Music Horoscope. You could be studying for finals or making plans for the summer, but instead you decide to spend your time looking for the hottest new tracks to listen to based on your astrological sign. Thank you. No, seriously it means a lot. I won't keep you any longer. Without further ado, your 2018 April Music Horoscope. Enjoy! Aries made a huge shift from March to April. March saw Aries in a slump, lacking motivation, while April brought a surge of energy to Aries lives, fueling their passion and work ethic. I Don’t Run, the newest album from Spanish garage rock band Hinds, matches Aries newfound intensity while also maintaining playfulness and levity. The album features a gritty production with clever guitar riffs and driving bass lines, giving the album enough momentum to keep up with Aries enthusiasm while also feeling fun and uplifting. As Aries continue to find success and passion in future months, they would do well to give I Don’t Run a listen for its energy and lightheartedness. Tauruses were really successful in buckling down on day-to-day tasks in April. After cultivating a better work-life balance in March, this last month saw Tauruses putting those skills to good use as they made headway on their immediate goals. However, Tauruses have tended to become overwhelmed with their long-term plans in April and channeled that anxiety into their daily tasks. The latest album from up-and-coming indie pop singer Bishop Briggs, Church of Scars, is an intense, soulful album that mirrors Tauruses focus while working in April. Church of Scars sports a darker sound with strong vocals and pounding instrumentation great for getting amped up to meet the challenges ahead. With its fierce energy, Church of Scars is a great listen for Tauruses looking to find continued success and tackle larger life challenges. April was a great month for Geminis to work through personal obstacles in their lives. After the stagnation and lack of motivation Geminis experienced in March, April was a turning point for Geminis to focus on roadblocks in their lives and overcome them. Ivory by alternative vocalist Gin Wigmore is a fiery, upbeat ode to taking care of business through good times and bad. The blues and soul influences on this album coupled with Gin’s uniquely gritty vocals (clearly taking inspiration from the likes of Amy Winehouse) lends the piece a signature style and verve complementary to Geminis newfound self-assurance when tackling challenges. Ivory is sure to give Geminis the zest they need to tackle their problems with flair. Cancers started focusing on developing a healthier work-life balance throughout April. Often overly willing to invest emotional energy into their colleagues at work, Cancers found difficulty putting in as much energy to themselves as they do to their work, and sought to fix that this last month. The latest album from indie folk-rock group Hop Along, Bark Your Head Off, Dog, is an eclectic acoustic album centered around reflecting on one’s own feelings and state of mind. The lighter vocals, harmonious instrumentals, and pensive lyrics make Bark Your Head Off, Dog a fitting match for Cancers need to step back and reflect in solitude. An album with a uniquely raw sound and message, Bark Your Head Off, Dog is a great choice for Cancers looking to spend some time recuperating and reflecting in solitude. Leos began to rediscover old hobbies and pastimes in April. Though Leos experienced anxiety over future plans during March, April saw Leos curb this anxiety by finding joy in their niche interests and activities. The newest album by multi-instrumentalist GUM, The Underdog, is a quirky psychedelic electropop album that reflects Leos renewed interest in staying positive and maintaining good mental health. The fun synth riffs and acoustic counterpoints in the album make for a unique and enjoyable listening experience perfectly suited to Leos drive to pursue their unique passions. The Underdog is great a listen for Leos looking for an upbeat, thought-provoking listen as they follow their passions. While March saw Virgos tackle their own personal insecurities and frustrations, with April came external challenges for Virgos to face. April brought with it tensions in Virgos family life and additional stresses at work and school, adding difficulty to their already hectic lives. However, Virgos are persistent and resilient individuals, and Virgos also took time to heal and move forward from the bigger challenges they faced. The Destruction by veteran alternative artist Eels is a bittersweet tribute to loss and starting again, especially in the company of loved ones. With varied instrumentation and thought-provoking lyrics, The Destruction is a heartfelt piece dedicated to building oneself up and reconnecting with uplifting people and places. As Virgos continue to persist in the face of adversity, they might try giving The Destruction a listen. Libras took a large risk during the month of April and reaped big benefits from it. As a sign that often shies away from riskier endeavors, Libras surprisingly decided to take a big chance this last month and found gratification in doing so. Geography, the latest album from new alternative artist Tom Misch, is an sun, experimental album whose artistic risks mirror the risks taken by Libras this past month. Geography takes influence from a host on genres including jazz, soul, pop, and (most prominently) disco, making for an album whose uniqueness is well worth the risk incurred by blending several genres together. As Libras continue to reap the benefits from the chances they’ve taken, they ought to try listening to Geography for a fun, funky album to celebrate to. Scorpios struggled with cultivating a positive self-image in April. Normally a sign that is self-assured in their uniqueness, Scorpios this last month had a lot of trouble maintaining positivity with regards to their own identity and sense of self. Primal Heart, the latest album from alternative singer Kimbra, is an eclectic, experimental pop album that reaffirms pride in personal identity and selfhood. The album varies widely in its stylistic influences and instrumentation, with songs that sample electropop, R&B, and singer-songwriter ballads, all the while maintaining the common theme of the strength of each individual in their uniqueness. Though Scorpios have been having a hard time showing themselves love and compassion, Primal Heart reaffirms the strength Scorpios will inevitably find in just being themselves. Continuing their recent tendency towards introspection, Sagittarians have continued to reflect over the course of April. Sagittarians are often high achievers by nature and can find it difficult to dial back, however over the past month Sagittarians derived their strength from reaffirming their values and focusing on spirituality. 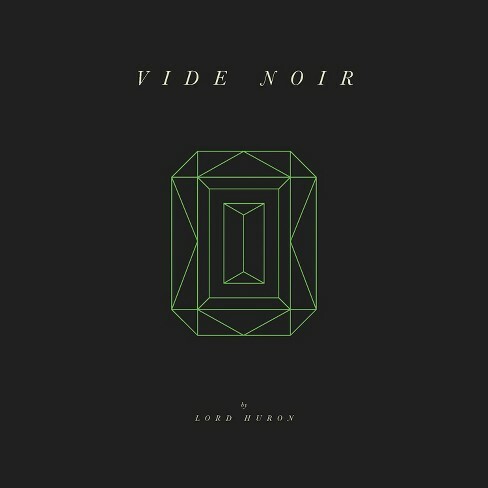 The latest album from indie folk-rock group Lord Huron, Vide Noir, an eclectic album that deals with existential themes of spirituality and humanity’s purpose in life. With many of the tracks’ lyrics focused on philosophical and even metaphysical subjects coupled with the various electric and acoustic instrumentals featured throughout the album, Vide Noir is an engaging, surprising, and thoughtful listen. As Sagittarians continue to reflect and find rejuvenation and reassurance in their values, Vide Noir is a the perfect complimentary listen for pondering. Capricorns managed to make headway on their personal projects despite encountering some tension with their friends. Capricorns are typically headstrong by nature, which can result in conflicts with friends as it did last month. However, any anxiety experienced by Capricorns over their social struggles they channeled into their personal activities, and made great headway on their projects. Critical Equation by indie rock band Dr. Dog is a witty soft rock album that is a good reminder for Capricorns to remain flexible and fun. Featuring a grungy production, clever lyricism, and catchy bass and drum lines, this album is a lighthearted piece whose simplicity and clever earnestness makes for an enjoyable listening experience. As Capricorns continue to navigate their social and personal lives, Critical Equation is sure to introduce some much-needed levity into Capricorns lives. In line with Aquarians increase in self confidence in March, April saw Aquarians continue to find success by practicing self-love and self-care. By taking the time to ensure that they were healthy and happy, Aquarians experienced greater productivity and success in all areas of life. The Lookout by singer-songwriter Laura Veirs is a reflective, relaxed acoustic album that well compliments Aquarians inclination to rest and recenter themselves. The Lookout features several notable contemporary folk artists on its track, giving the album variety and stellar musical work across a variety of instruments. That coupled with the album’s sweet, heartfelt lyricism, warm instrumentation, and great acoustic guitar work make this a really enjoyable listen. The Lookout is a beautiful showcase of contemporary indie-folk music sure to satisfy Aquarians as they make time to reflect and recuperate. April was a sporadic yet successful month for Pisces. Pisces started the month with good momentum from March, yet as more commitments began to pile up Pisces (in characteristic fashion) began to get overwhelmed. However, with perseverance and help from friends and family, Pisces ultimately finished April on a high note. When I Think of You in a Castle by indie rock band Post Animal showcases a wide range of instrumental flavors, in line with Pisces varied experiences this last month. With both upbeat tracks featuring catchy guitar hooks and fun basslines and slower, more grounded pieces on the album, When I Think of You in a Castle is a fun, ever-surprising listen that, in the end, leaves listeners wanting more. As Pisces continue to sail in to the coming months, they’ll certainly find lots to love in When I Think of You in a Castle.